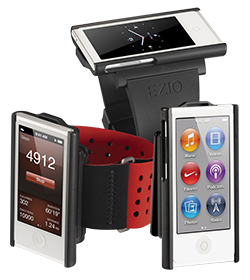 EZIO Sports Armband is a comfortable, lightweight armband designed to safely hold your iPod Nano during physical activities. 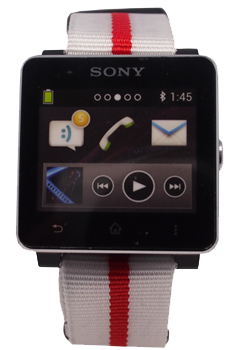 EZIO Watch Strap is a lightweight band that holds your iPod Nano device securely in place on your wrist. 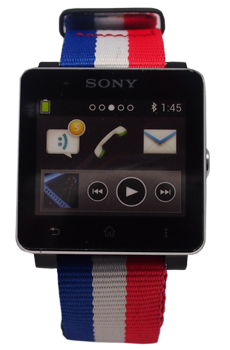 The flexible and durable watchband material feels soft against your skin for all-day. 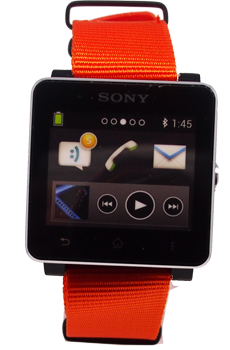 EZIO Smart Clip securely attaches your iPod Nano device to virtually anything you can clip it onto like your clothing, belt, bag strap, hat, and more. 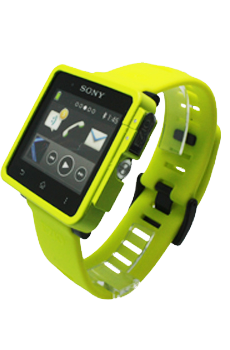 EZIO assembles the FLCB (FPC Lithium-Ceramic Battery) into a flexible rubber strap. 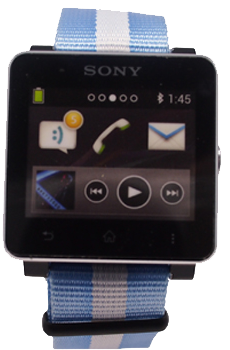 This fashionable strap is then simply connected to your Pebble Watch, and it will provide extra external battery life to it while not compromising the style and feel of the Pebble Watch to your wrist. 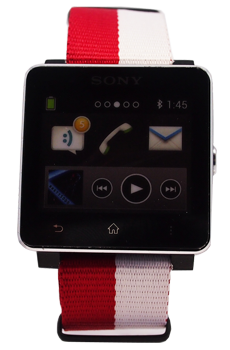 The EZIO PowerBand is the world's first-ever flexible battery strap built for Pebble Smart Watch. 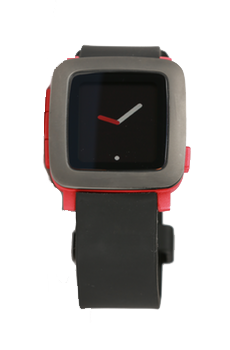 With the EZIO PowerBand, the Pebble Time and Pebble Time steel can be powered for 11 and 14 days respectively. 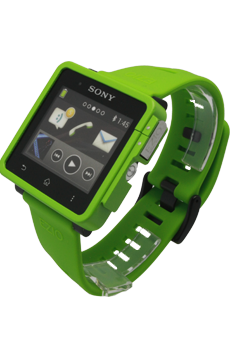 Unlock the stainless steel clip first, then put the bumper onto the watch. Secure the bumper by pulling down the handle and press the clip. 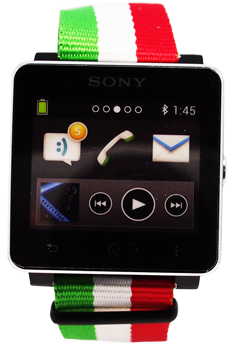 The EZIO Bumper transforms your Sony SmartWatch2 into a robust yet high fashion timepiece designed by EZIO designer Tommaso Rodolfo Masera from Italy. Forged and Machined Aircraft Grade Magnesium Alloy which is the lightest and strongest structural metal. 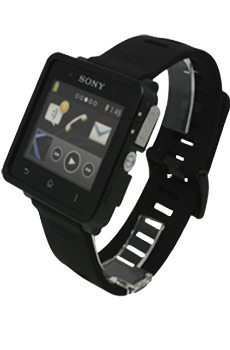 Simple to snap onto the SmartWatch2 with a stainless steel locking clasp. Direct access to the power button. Prepare: Remove the top strap from the bottom strap. Finished: Slip the top strap back into the bottom strap and position the watch in between the 2 loops! 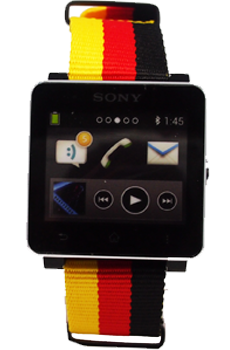 Support your country team for the FIFA World Cup, we've brought out country themed straps to accompany your amazing Sony SmartWatch 2! The EZIO Leather Key Holder is an elegant fashion accessory using a genuine leather adaptor which is attached to a watch case carrier. 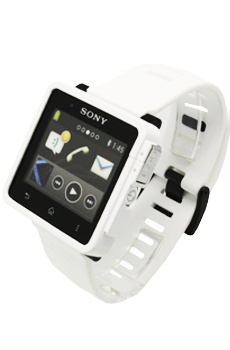 A must have for all smart watch enthusiasts. 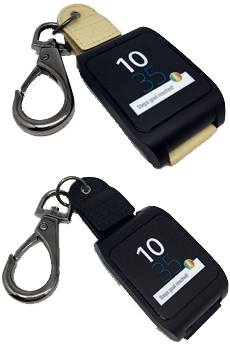 Leather Adaptor is a smart solution to attach your smartwatch and hooking it on your belt loop or on your bag. 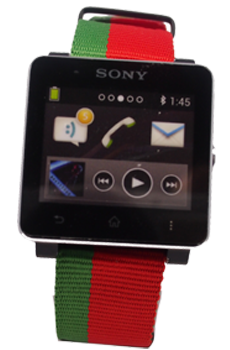 The smart construction of the leather attachment can easily be detached from the provided watch case by pulling off the Velcro then unhook the bottom of the leather attachment. Watch Case Carrier is a lightweight holder made out of polyamide material which can be used as an attachment with the provided leather adaptor or to your own choice of watch straps. 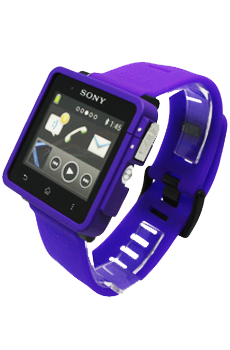 Simply insert your smartwatch core into the watch case from the back side. Please directly contact us by e-mail using the contact information above.